Making mind maps for jolting down your ideas to scribble a blue print for a venture is one of the most effective techniques for conducting brainstorming sessions, gathering your thoughts and bringing out your creative side. Moreover, mind maps can play a vital role in creating a drawing board, with all your ideas laid out in front. 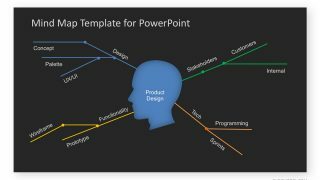 One of the most underused mind mapping techniques is perhaps their incorporation in the form of PowerPoint presentations; using mind mapping templates for PowerPoint. When creating a presentation out of one or more mind maps, you can use different types of presentation templates. This may include anything from generic templates to mind map templates designed for specific types of business concepts, like the SWOT Analysis. As the name suggests, this is a simple mind map template to help you creative a presentation using mind maps. 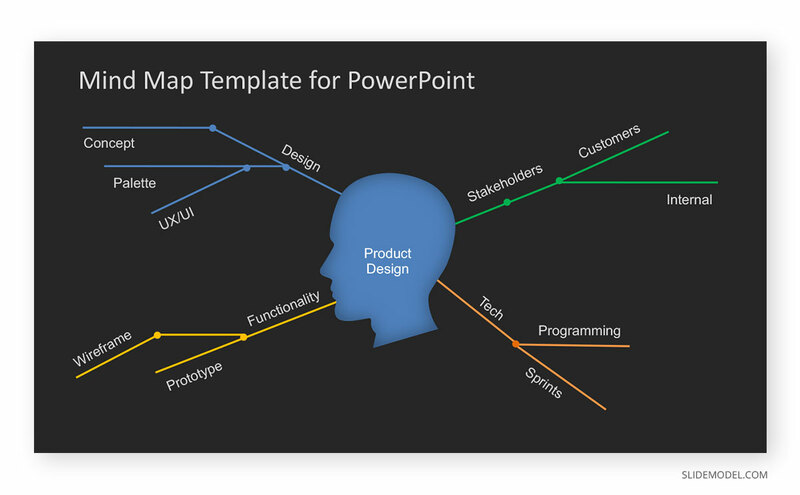 The template provides different editable slides with a placeholder for adding the central idea of your mind map, surrounded by different related details. For example, you may use this template to jolt down your ideas for a project or create an elaborate cause and effect slide to present your mind map before an audience. Other than presentations, you can also use this template as a footprint for creating new mind maps for personal use, using convenient mind mapping slides. 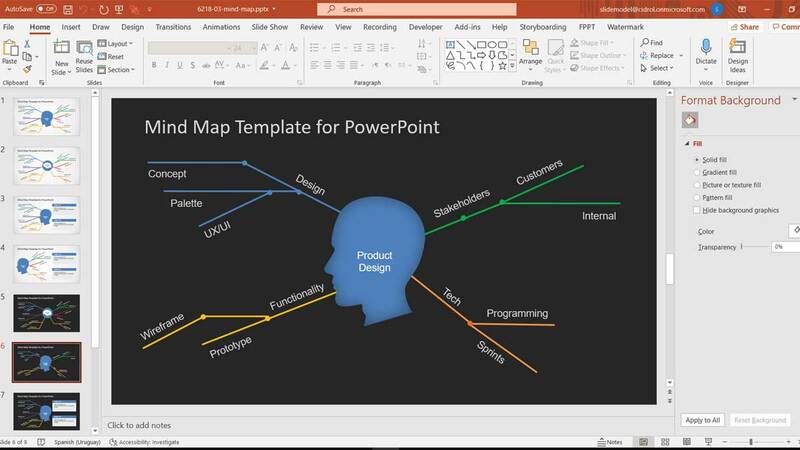 Similar to the Simple Mind Map Template, this is another good template to create simple mind maps in PowerPoint. The slides in this template present the central idea as a brain, followed by lines similar to synapses or nerves, which are connected to the brain. Hence, depicting the concept of the brain and neural path ways. 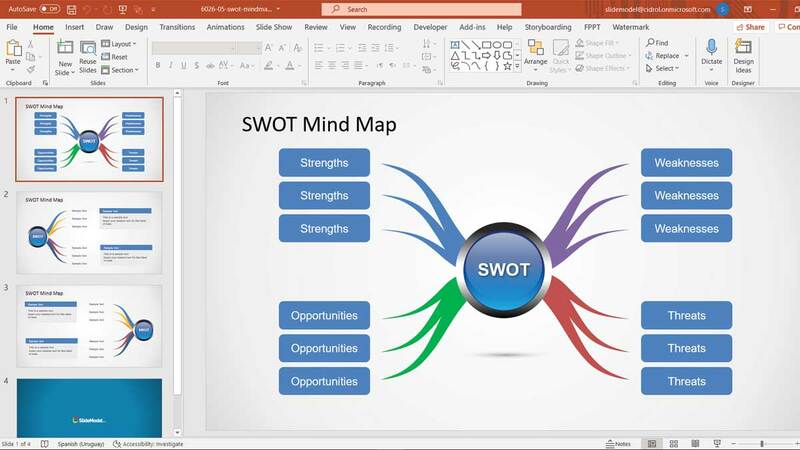 Designed especially for mind mapping a SWOT Analysis, this template makes it possible to combine mind mapping with the formulation of a SWOT Analysis for identifying the Strengths, Weaknesses, Opportunities and Threats for a business venture. 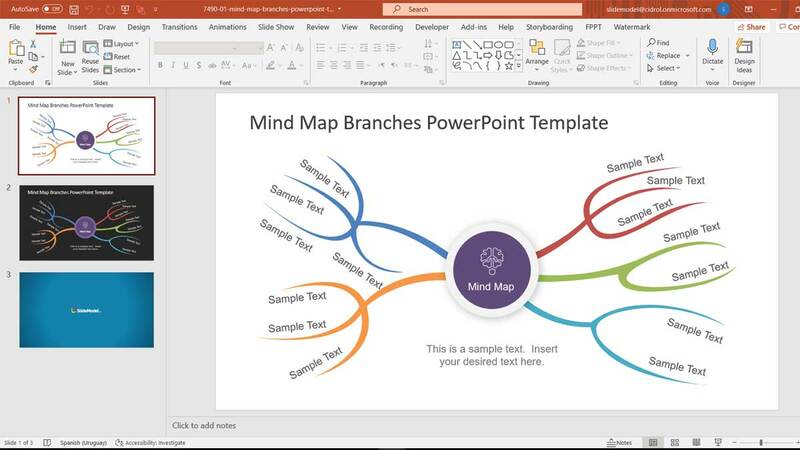 For more templates related to mind mapping, see our collection of Mind Map Templates for PowerPoint. Tags: Analysis Templates, Business PowerPoint Templates, Diagram Templates, Mind Maps, Templates.